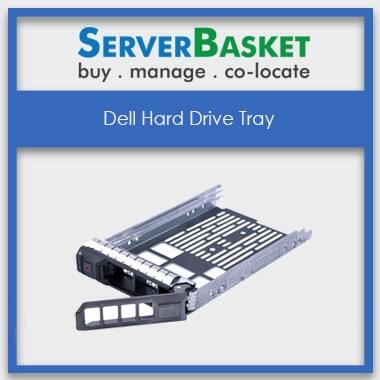 Buy Dell server caddy tray for a Hard drive at the lowest possible price today. All types of caddies available at server basket. Suitable for any Dell product series servers. Why late? Order caddy today and boost up your server storages. Various High-Quality Dell Server Caddy available with us with standard 2.5″ SFF, 3.5” LFF drives, SATA SAS SSD. Once the drives are installed into the caddies, the caddies get inserted easily into the dell server. We provide instant and free delivery across the country with 100% genuine and well-packaged products. Our team support is available for any queries during the installation process. Compare and buy with other online stores, we bet you would surely come back to shop with us. Shows exceptional performance in data backups, boot times and file transfers. Specially developed for servers and data centers which are faster, lighter and durable in nature. These can be quickly and easily be installed on to the drives. Compatible with any series generation servers of dell as per expected. 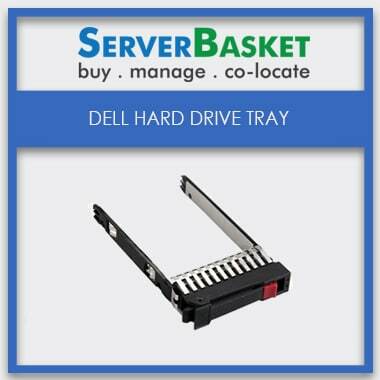 Dell server caddy is more durable and reliable, with no moving parts which can compact with any operating system environments (Windows, Linux, etc.). It comes with the form factor of 2.5” 3.5” basic chassis of the hard drives. Sustains with additional speed benefits provided by the external DRAM. Protects against loss of data and corruption from unexpected system power loss, the most critical feature for server storage. It is composed of additional security and durability features such as hardware encryption- which protects data from unauthorized access which further enhance data efficiency and increase the lifespan of the drive. Server Basket never fails to provide customer convenience shopping. We don’t charge any extra other than the selling price. We ship the order with no extra charges and with no delay in time. Shipped with 100% genuine packaging, and products. Why late? Order today, before the sale is turned off.